I love reading through those reddit threads or FunnyorDie when they post a 'check out this rant from a wrong number' or something. The annoying thing is that it's like several hundred individual screenshots. Kind of a pain to read through. Didn't really hit me until I started playing that Jurassic World Alive game. 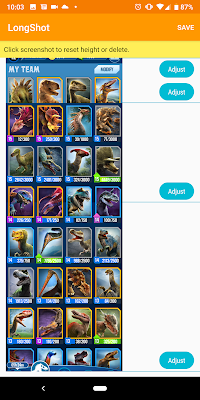 I like playing around in the tournament section and playing with which of my dinosaurs are the best for different matches. 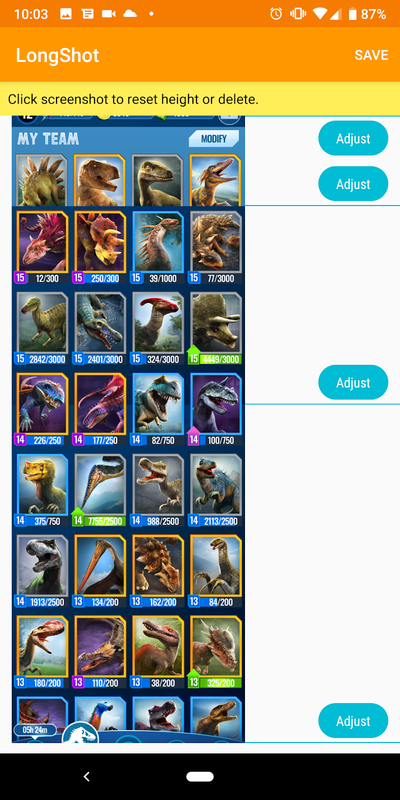 There's a forum that Ludia set up and a few folks have been posting screenshots of their dinos to ask people their opinion of what their fight set would be. 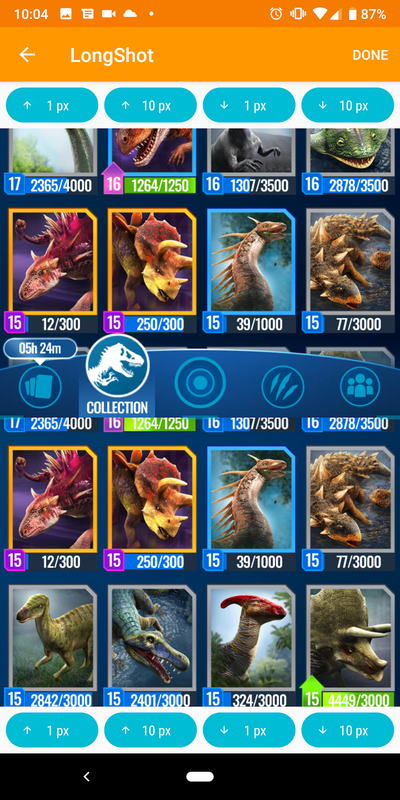 I also found that sharing the screenshot of a run with friend cuts it off... but I don't want to send 2 screenshots. I thought, there ought to be a better way to do that. Now, I know some devices have had 'long screenshots' as a feature, but I'd never used it. 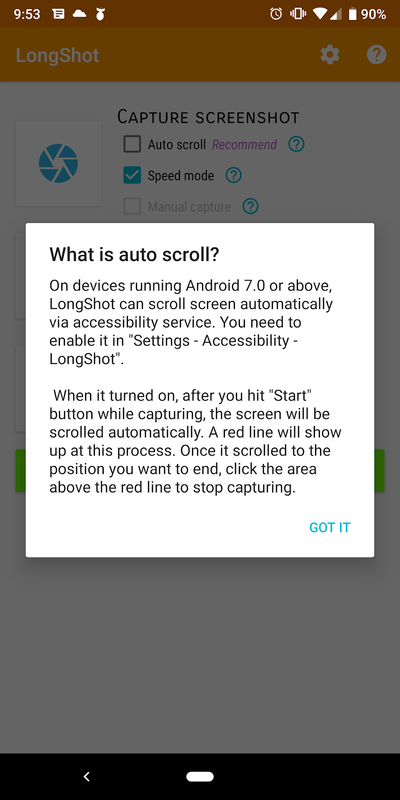 So I looked up on the Play Store for options, and so far I'm liking LongShot. So, the first thing I was hoping for was it some way to replace the normal screenshot, but no, you still have to start the app. There are a few modes you can play around with. 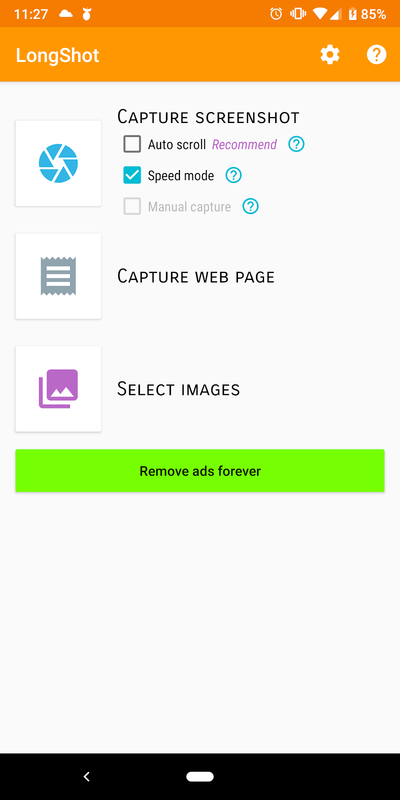 Capture web page has a mode where you type in the website and it does the capturing within the app. Not really a fan, myself, but it works. I prefer the top option. That has 3 modes for you how to use it. Before I discuss those modes, first how it works in general. You have to tap that 'aperture' and then the app boots you out to the homescreen so that you can start the app you want to do the screenshotting in. There's a 'start' button and a stop button. 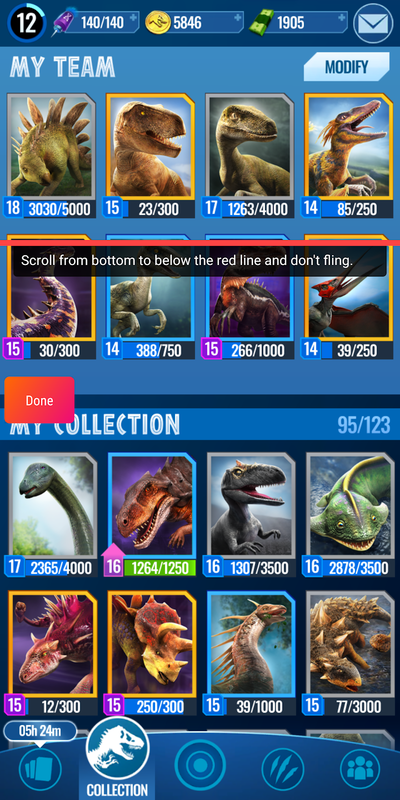 The 'autoscroll' feature lets you 'start' and then it'll start to scroll by itself (you'll have enable an accessibility setting) and then when you're done, just tap above the red line. Speed mode you hit the 'start' and then scroll by swiping with your finger from the bottom, but don't go higher than the red line. 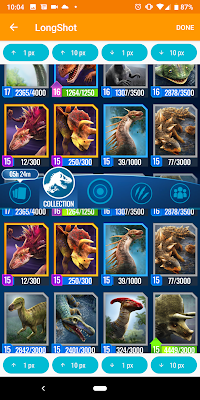 When you think you have enough, hit the stop. 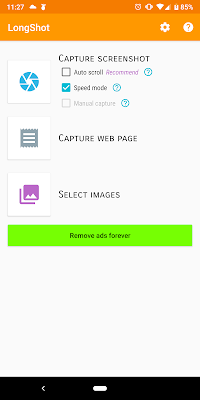 Manual, you just freeball it... Click it to start, then click every time you want a new photo taken, and then click 'done'. Once done on any mode you then get to see it try to work its magic and stitch the photos together. But nothing's perfect, so they give you the option to see where it stitched it and you can manually adjust the position. I like how they have the up/down pixel amounts for finer granular control of the position of the stitch. And then the result is pretty cool. And that's that... very awesome. 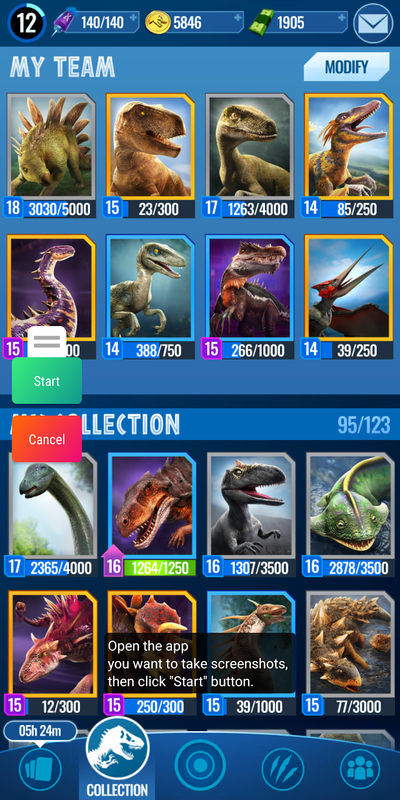 Simple to use ... except Ludia forums wouldn't let me upload that big of a photo... sigh. And no potshots about my slow jog.